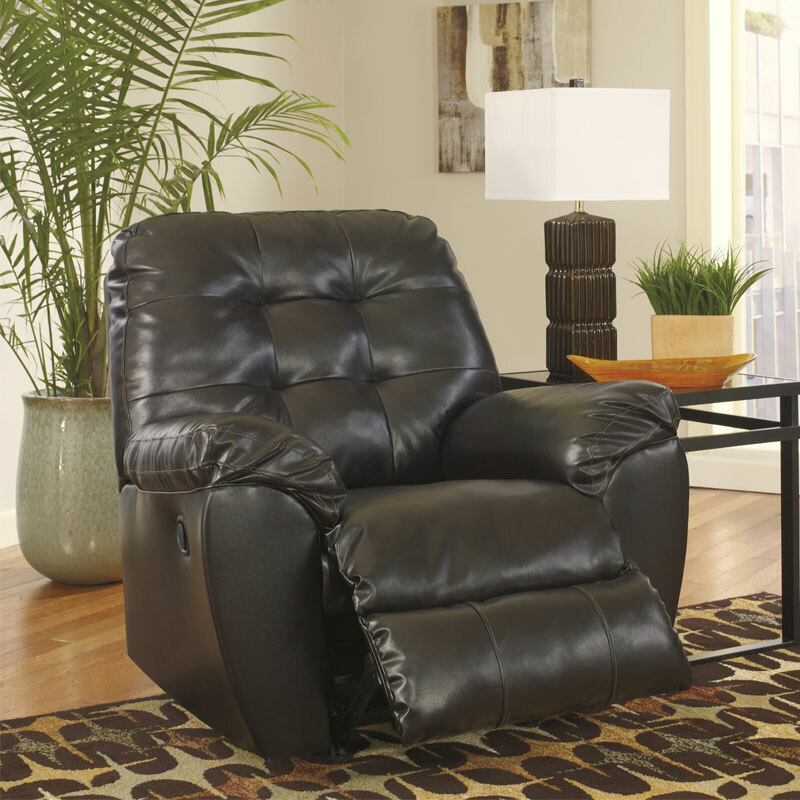 There's no shame in sacking out and kicking back, not when you look as good as you do in the Alliston rocker recliner. Upholstery provides the appearance of weathered leather, along with subtly tufted detailing, a supportive back and padded arms. The result: comfort and style that go hand in hand.